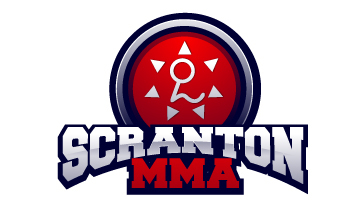 At Scranton MMA, we offer nay different martial arts styles including Muay Thai, MMA, Judo, and Jiu Jitsu. One of our most popular classes is our Gracie 101, or the beginner jiu jitsu classes. This program shows you the basics of jiu jitsu, and how it can be used for self defense. After a few months of the program, though, you might feel the need to start learning some new moves, and that’s great! Jiu Jitsu is all about perfecting the basics, and learning new techniques. If you’ve been taking the Gracie 101 class for a few months, and feel the need to start learning more, than maybe it’s time to start taking our Advanced BJJ class. This class goes more into depth about techniques used in sport jiu jitsu. Now, don’t go getting all nervous on me. Just because you’re going to take a sport jiu jitsu class doesn’t mean you HAVE to compete in a tournament. You can take our advanced jiu jitsu class just because you think it’s fun! There’s nothing more fun than learning a new move in class and pulling it off in a sparring round with your best buddy. Once you start taking the class, you’ll be hooked on the fun and the adrenaline of learning new moves and getting some good rounds with everyone! If the advanced class sounds interesting to you, then talk to one of the instructors about it. We’ll watch how you do in the Gracie 101 class, and decide if you’re ready for the advanced class. When you start taking the advanced class, we’ll probably ask you to continue taking the beginner lessons in the Gracie 101 program. It is very important that even our most advanced students keep up on their basics. The basics the very foundation of every other move you’ll learn in jiu jitsu! So, to all of our Gracie 101 students, just think about how you’ve been doing in the Gracie 101 classes. Are you familiar with the techniques we show you? Are you doing well during the live drills at the end of class? Are you able to help out the newer students when they are a little lost? If so, flag down one of the instructors, and let us know you’re interested in the advanced BJJ classes. Until then, happy training!